Before starting my own food blog, I was just someone who enjoyed cooking and baking. Many of the things I made were inspired by not only recipe sites but food blogs. Now that I share my adventures (and misadventures) through my own blog I still continue to be inspired and in awe of so many talented bloggers, cooks and bakers out there. That’s one of the things that I love about being a member of The Secret Recipe Club. I am constantly being introduced to new blogs that I may not have known about otherwise. As of this month, I officially have a new favorite blog! Life and Kitchen is truly an amazing place to click through. Not only does Lindsay write this wonderful blog but she works full-time, is finishing up her master’s degree oh, and did I mention she’s also a new mother?? This is one lady who has a lot on her plate and seems to handle it all. When I read her blog I feel like she’s a friend sitting across from me. She’s just telling me a story and sharing a recipe. Her writing, beautiful pictures and deliciously easy recipes are some of my favorite things and these are the things that have made me her newest reader. You should definitely check it out! Each month as I look through my assigned blog, it’s always difficult to narrow my choices down to just one recipe. Lindsay’s blog makes it nearly impossible!! As difficult as it was, today I bring to you a “new to me” pie that I had never even heard of before. In fact, it was only as I began typing this post that I realized this pie was actually Lindsay’s pick for a previous Secret Recipe Club post when she was assigned the blog Shockingly Delicious. Apparently, great minds think alike. As soon as I came across Bob Andy Pie, I was intrigued. What in the world is Bob Andy pie you might ask? I asked the very same thing. This is a cinnamon custard pie with a wonderfully flaky crust. As the pie bakes all the cinnamon rises to the top making a dark crust on top. It’s supposed to have a look of gradual layers. Unfortunately, I did not achieve that layered look. But layers or not, it tasted amazing! 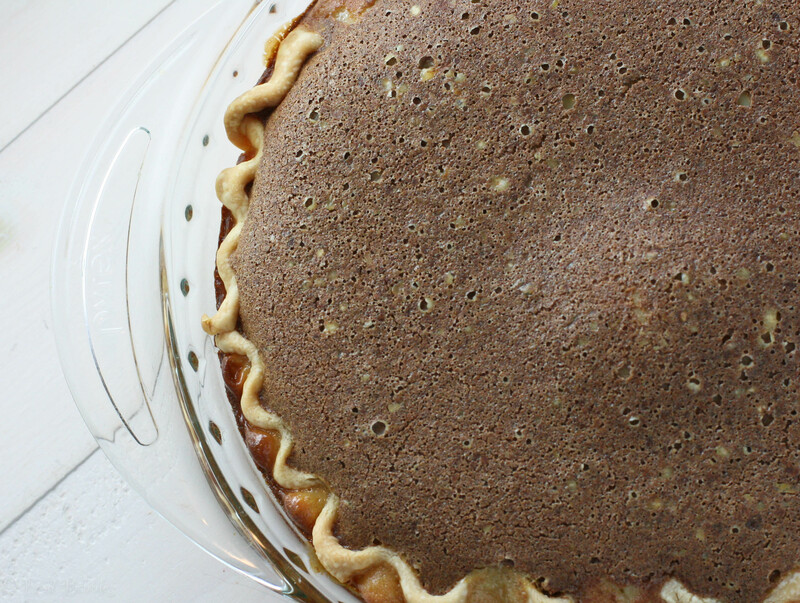 This pie is quick and easy to make and will quickly be gone as well. So delicious! But what’s with that name? 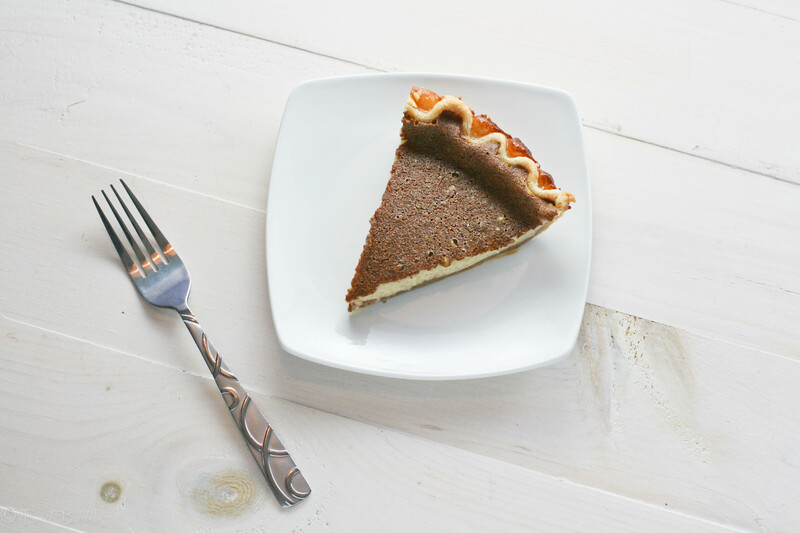 According to Lindsay, legend has it, an Amish farmer came in from working in the fields and upon taking a bite of this pie said, “This pie is as good as Bob and Andy,” his two prize-winning plow horses. That works for me! This pie truly is a tasty pie perfect for any occasion. I didn’t change a thing, so head on over to Life and Kitchen and make yourself a Bob Andy Pie! And don’t forget to go check out what all the other Secret Recipe Club members made this month! Wow, thanks for writing such nice things! I would love to sit across a table from you while we share stories 🙂 I couldn’t figure out the custard layers either… at least it still tastes good! And your pictures are beautiful. I truly love your blog Lindsay! SO glad I found it 🙂 Thanks for you sweet comment. The food blogger world is a truly tiny place! How funny that I got YOUR blog to feature today (excellent Lemon-Lime Basil Shortbread Cookies, by the way), and you chose something from another blog that had come from MY BLOG! What are the chances? Love it all….well done! This looks very tasty and unique. Can’t wait to check out Lindsay’s blog. You’ll love it! Her blog is awesome 🙂 And this pie is amazing and SO easy to make too! Love how the top gets all brown like that. This looks really good! Thanks! It’s so neat… the top is all brown because all the cinnamon floats up to the top as it bakes 🙂 That topping is so delish! That IS the best part of the secret recipe club!! So many new blogs to discover and new recipes… I had never heard of a Bob Andy pie before. SO good! What a name for a pie! It sounds delicious, and I love cinnamon, will have to try it out sometime! 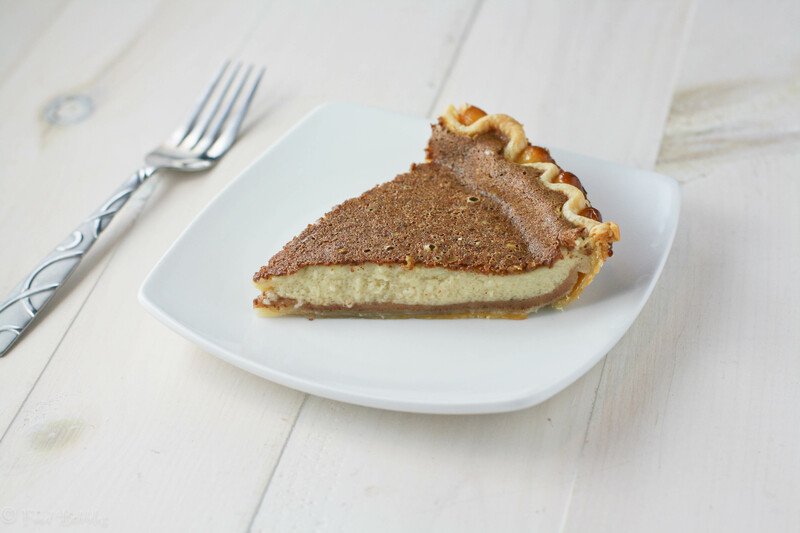 Cinnamon custard pie sounds completely drool worthy! What a great pie!!! this sounds absolutely amazing! i love anything cinnamon, so i know i’d love pie. + i love the story behind the name. your pictures looks gorgeous, by the way! Thank you very much, Amy! And this pie was truly divinely delicious. Boy does that pie look good, and I love the name. I’ll have to try it soon. Thanks so much! It was really tasty. layers or not… I want a slice! great photos! Ho much fun is this?!?! Love it! OMG, that sounds so good – cinnamon and custard! Thanks Karen! It’s a simple and very delicious recipe. Hmm I’ve never heard of Bob Andy Pie, but I definitely like the way it sounds! I had never heard of it either. I was so intrigued by the name and then the description that I just had to give it a try. What an interesting recipe….I am intrigued! How was it? We just launched the new seasonalpotluck.com and I’d love if you would check it out! April is peas month, so if you have any great peas recipes, join the fun and link up! We’d love to have you. It was SO good! Such an easy and delicious pie. And I’ll definitely go check out your site. I can’t say I have any pea recipes around here 😉 but perhaps I can contribute something in the future. Thanks for telling me about it!